During our initial consultation, we will get to know one another and discuss your current situation, current planning (if applicable), your concerns, and goals. We are happy to review any estate planning/corporate documents that you may have during this meeting. In order to customize your plan, we ask you to give us the background information requested in the Estate Planning/Business Planning Intake Worksheet. It is best if you can complete this information and return it to us three days before our initial meeting so we have time to review your information prior to meeting. Should you have any questions about the Intake Worksheets or other questions prior to your consultation, please feel free to contact us. To schedule your initial meeting, please click here. After we meet, we will spend time creating a custom tailored plan to meet your individual family, business, financial, and long-term goals and objectives. As (98%) of our plans are billed on the basis of “flat-fees”, we will give you a fee quote with your Plan Design, so you’ll know the costs associated with your plan. Along with your Plan Design, you’ll receive an expected timeline to complete your project. You can always ask us questions about our plan design and we can make changes in accordance with your wishes. Some clients wish to review their documents electronically prior to their Signing Ceremony, where others wish to review their plan during the Signing Ceremony meeting. In either instance, we will make as many revisions needed to ensure you have the exact plan that fits your goals and objectives. During our Signing Ceremony meeting, you will legally execute your plan documents, have opportunities to review and ask questions, and we will begin to discuss the Funding Process. We want you to feel confident that your estate/business plan will be effective and work the way it’s supposed to! The #1 reason why estate plans do not work is that they are not properly funded. Funding is the process of legally transferring your assets into the appropriate entity (trust/company/etc.). We are here for you during the Funding Process. We will work with you and your other advisers (financial/tax advisers and bankers) to assist you in transferring assets into their proper place per your Plan Design. Both Estate and Business Planning clients are eligible to participate in our optional Concierge Plan, which is a continuation of the personal service you've received during your Plan Design & implementation. Our Concierge Plan provides you, at an affordable cost, with annual plan reviews and communication with your attorney & our staff, without the fear of getting billed by the hour. 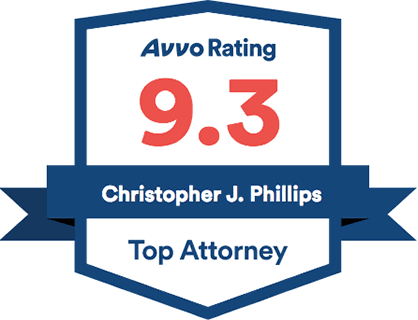 This helps you, the client, and us, your Personal Family & Business Attorney, keep in touch throughout the years as things change in the law, in your life, and in your situation. To schedule a consultation with Estate, Business, & Asset Protection planning attorney Tiffany Ballenger Floyd, please click here.